The use of motor control to dramatically enhance the performance of electric motors, motor interaction and systems was the idea behind Unjo as it was founded in the mid 1990’s. A single motor application can benefit substantially from using a well designed control system when it comes to performance and getting a smooth operation. In multi motor and/or multi axis applications this is even more true, as the demands on the control system increases substantially with the number of motors used. In addition, the final application often includes a group of motors that should interact with each other to create a good system. What are your most important performance needs? Even if only one of the points above applies to you, a contact with Unjo may be profitable. 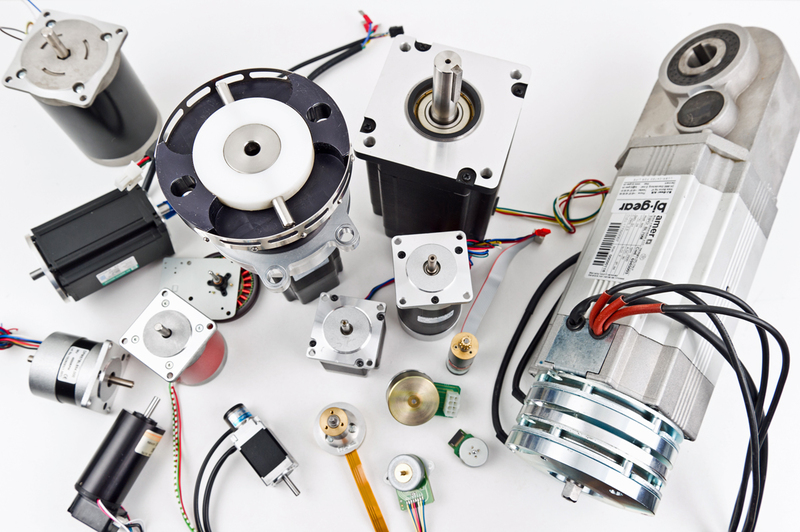 The more complex and demanding your applications are, the likelier it is that we can develop a customized motor control solution that improves your performance. After more than 100 successful development projects, we have accumulated an unique experience in combining the best type and size of motor with a customized control system providing high control performance. One of the special abilities within our expertise is the control of fast, dynamic and accurate motion with very high control frequencies and systems with several coordinated motors. The application examples below has been designed in order for you to learn a little bit more about the performance levels Unjo have been able to achieve with different types of motors. Description – Ironless low inertia DC motor combined with a miniature optical encoder and a high quality zero backlash gear. The motor is powered by a battery operated control system with an integrated Bluetooth radio. The system is designed for the remote control of a normally direct controlled precision motion system. Result – Fast response with very smooth operation and high efficiency. The motion control has the responsiveness normally found only in a high performance direct coupled system despite the use of a wireless remote control. The result is the precision and feel of a directly hand maneuvered high-end mechanical system. Main features – High efficiency battery powered application, with integrated Bluetooth control. The high bandwidth enables excellent responsiveness and control of the mechanical system. Description – Multipole BLDC motor combined with integral sensors and a belt transmission. Result – The exchange from an asynchronous motor to BLDC gives unrivaled low-speed characteristics combined with a large increase in efficiency. A redesigned transmission allows for a better operating point and a significant reduction of both weight and physical size. All at a reduced system cost due to a low cost motor with integrated feedback and a high degree of functional integration. Added features – A compact high efficiency drive system. Modularized to enable scalability for different workload situations. A true low cost solution with extended capabilities and ease of integration to different product versions/generations. Description – Multipole permanent magnet hybrid stepper motor with current control with unrivalled microstep resolution by specially adapted field oriented control (FOC). Result – Field oriented control and very high current resolution enable smooth and precise stepper motor movements. With one motor turn divided into more than 1 million steps it can be positioned with extreme precision. Despite this, the speed can be seamlessly increased up to the maximum speed of the motor, and the typical stepper motor sound has almost vanished. Added features – Extreme current resolution combined with groundbreaking frequency generation methods enables smooth motor drive at high speed without any sacrifice of low speed precision.